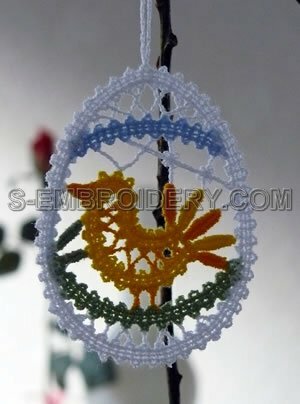 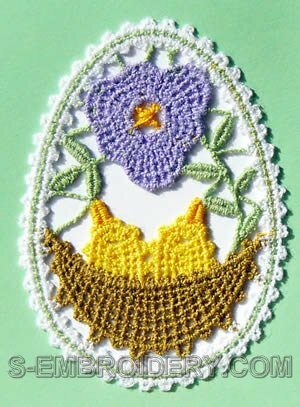 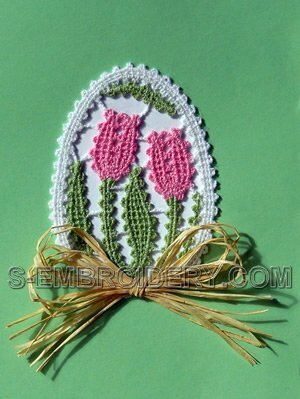 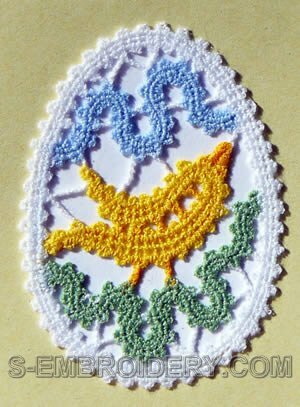 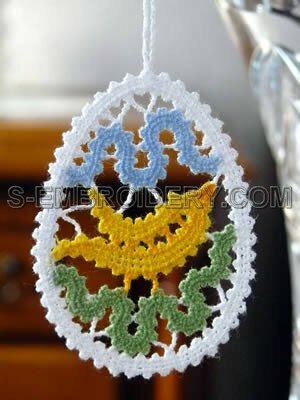 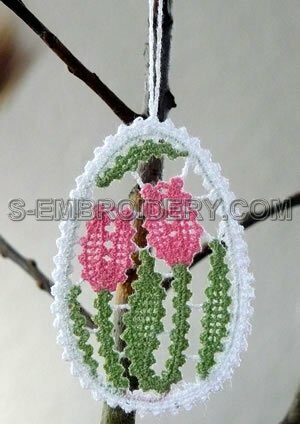 A set of 5 Easter lace ornaments. 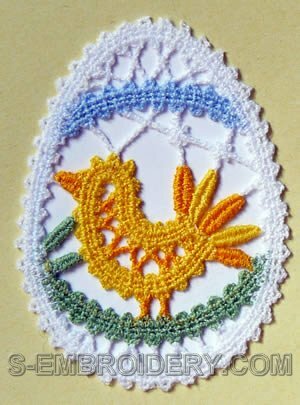 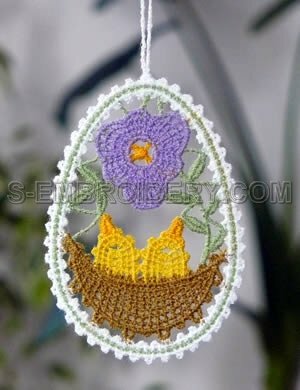 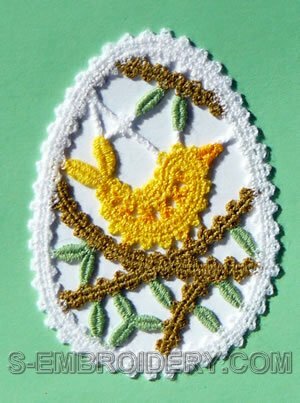 All machine embroidery designs are available in 2 versions (both included) - one has a loop for hanging the ornaments on the Easter tree and the other is meant to be used as a decoration for your Easter greeting cards. 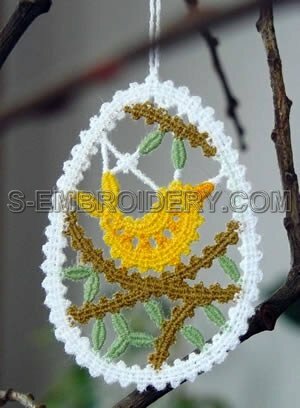 The loop is stitched out with the design.